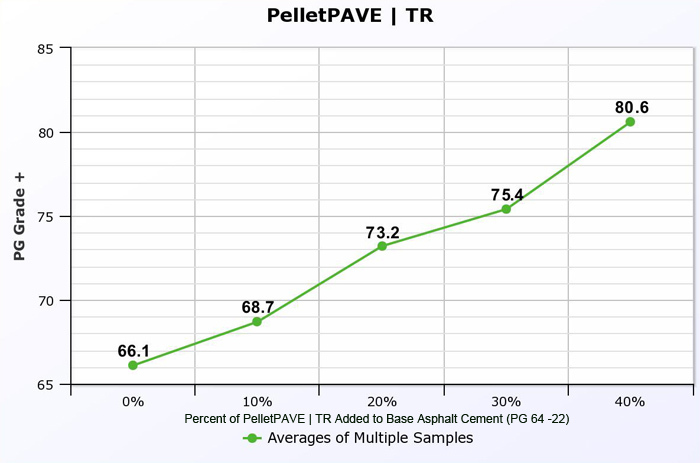 PelletPAVE | TR is used as an alternative for terminal blended type rubber modified binders. This product is a specifically formulated PG 64 -22 binder with SBS polymer and 12% - 15% of a fine ground tire rubber powder. It is typically used to enhance the performance of dense graded mixes. 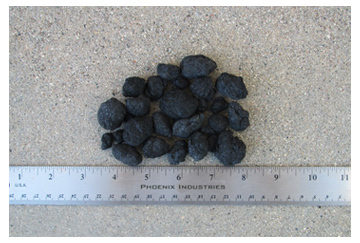 The pelletized rubber modified binder is a big energy saver. It is stored at ambient temperature at the hot plant site until needed. 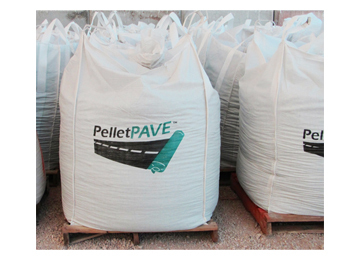 At the time of use, the proportional amount of the PelletPAVE | TR is mixed, either through a RAP collar of a continuous drum plant or directly into the mixer of a batch plant where it melts and is blended with the heated aggregate to produce asphalt rubber modified hot mix.